CAPS 2017 Outstanding Young Scientists finalists (center) Rohan Bhushan, Gina Yang, and Samiha Mahin with CAPS Public Relations Committee members. 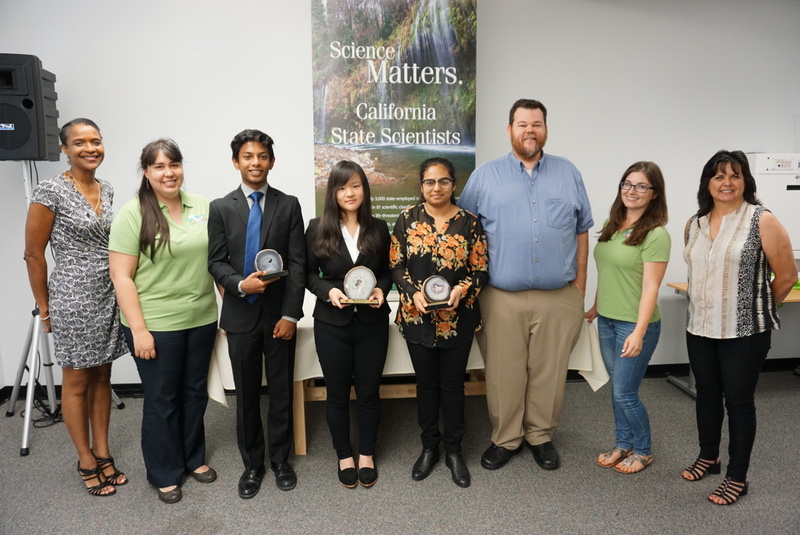 The California Association of Professional Scientists Outstanding Young Scientist competition begins annually in the summer with the awards ceremony in the fall. The competitors are those students who have been selected to receive the regional CAPS Science Achievement Award. Three finalists are selected by CAPS scientists after a detailed review of each project. The finalists are invited to attend the Outstanding Young Scientist Awards Luncheon in Sacramento in the fall. Finalists and semi-finalists all receive an award and monetary scholarship.